The robots in Pacific Rim are the perfect metaphor for the film’s promise: these massive metal structures suggest plenty of action but at their centre is a human core. If the filmmakers can bolt some character onto the destruction, the result could be that elusive thing – a blockbuster with brains. With Guillermo del Toro at the helm, it felt like that mix could be achieved. Having melded fantasy with heart-breaking tragedy in Pan’s Labyrinth, and being a huge fanboy of both mecha and Kaiju movies, he had all the necessary qualifications to make an audience feel the personal plight amidst the fight for humanity’s very existence. It’s a disappointment, then, that there’s so much tell and not enough show. The film kicks off with a mass of exposition, filling in the history of man’s battle against the alien creatures following their appearance from a rift in the Pacific Ocean, while also explaining the technology behind the robot defence force. But the chatter doesn’t stop there and the script is littered with instances of characters explaining their actions or profiling each other, killing any chance for the audience to latch on to these flawed human beings and read the pain from their faces and interactions. Even the fact that two humans link up to drive the Jaegers – sharing every memory and thought – is mishandled as a tool for building backstory, with the one real meaty flashback coming across as a mess of cliché. 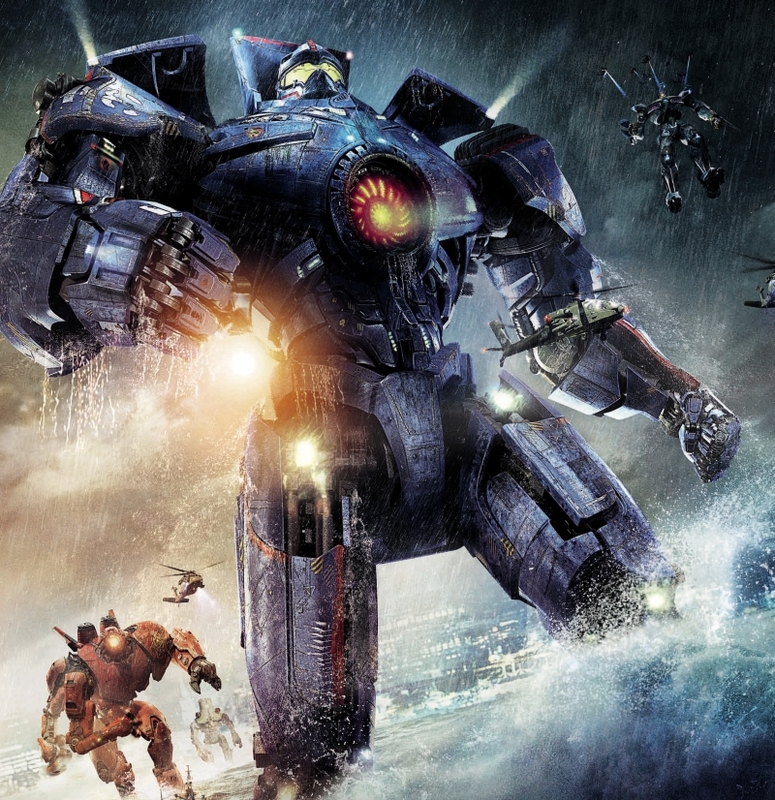 Where Pacific Rim scores its biggest points is for sheer destruction. Del Toro proves that he knows what to do with this toybox and the fights sparkle. Watching these humungous beasts tussle is so much more entertaining than watching Kryptonians punch each other through skyscrapers, and the tactics of the different machines and the evolving creature abilities add to the spectacle. Just when you think it’s got nothing left to offer, the script even manages to throw up a few surprises. Yet it’s hard to shake the feeling that when Pacific Rim comes out on Blu-ray, you’ll be skipping the mediocre talky bits to focus on the action. To fight monsters del Toro built monsters of his own. It’s just a shame he didn’t throw a little more humanity into the mix. Pacific Rim opens today in US and UK cinemas.